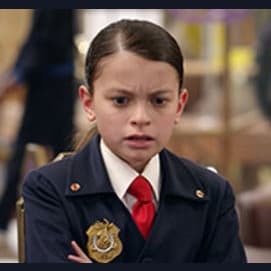 Which Odd Squad Character Are You? Out of these, what is your favorite thing to do? Bossing people. What? It's fun. Brain games to tickle your fancy. Like Ms.O, you are a natural born leader. You love to take charge and you are very wise. But, some people perceive you as bossy. You may want to tone it down a tiny bit. You are very intellectual and you always know what to do. But, you can be stubborn. Keep rocking!! You are a natural Sherlocks Holmes. You love solving mysteries.Sometimes, you are very silly but that's what make you unique! You love to create new things. You just love dreaming up new inventions. But, you are very accident prone. Yet, you still strive towards your achievements. Which of the 4 main characters in Odd Squad are you?